Farmers will need to know how rising temperatures in Thailand will affect their rice crops. Selangor, Malaysia, Aug 13, 2018 - (ACN Newswire) - The seeds of Thailand's well-known jasmine rice have low tolerance for high temperatures, according to research published in the Pertanika Journal of Tropical Agricultural Science. This can have implications for rice cultivation as weather heats up in response to global warming. 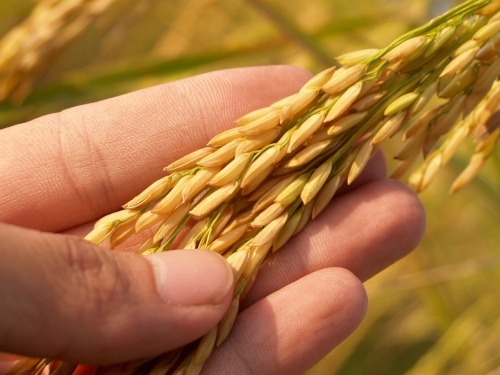 Researchers at Thailand's Khon kaen University exposed three different types of rice seeds to varying temperatures for one and two weeks to investigate their heat tolerance. Rice seeds are typically sown just before the rainy season in Thailand, which exposes them to temperatures that can reach 41 degrees Celsius. Previous research has shown that rice yields are reduced by 10% for every 1 degree Celsius rise in daily temperature. High temperatures lead to the release of oxygen-containing chemicals, called reactive oxygen species, from seed cells, causing protein degradation, DNA damage, and cell membrane damage. This affects seed germination and the physiology of seedlings. The researchers exposed rice seeds in petri dishes for one or two weeks to varying temperatures and then placed them on germination paper in a plastic box under controlled humidity and normal light. After two weeks, the germinated seedlings were studied. Jasmine rice seeds exposed to 40 degrees Celsius heat for one week gave rise to the highest percentage of abnormal seedlings. Riceberry rice seeds, which produce the most popular kind of Thai brown rice, demonstrated the highest percentage of normal seedlings after exposure to 40 degrees Celsius heat for one week. Dular seeds, an Indian variety, produced the highest percentage of normal seedlings after exposure to 40 degrees Celsius heat for two weeks. The team found that the reactive oxygen species hydrogen peroxide was higher in abnormal seedlings exposed to 40 degrees Celsius for one week than it was in abnormal seedlings exposed to 35 degrees Celsius for one week. Electrolytes leaked more from the cells of normal and abnormal seedlings exposed to 25 degrees Celsius and 40 degrees Celsius than they did from seedlings exposed to 35 degrees Celsius. Malondialdehyde levels, which rise when cell membranes become less stable, were higher in the abnormal seedlings of all three rice cultivars than they were in normal seedlings. Overall, Riceberry and Dular seeds had a higher potential for heat tolerance than jasmine rice seeds. The results provide crucial information for consideration in breeding programmes for heat-tolerant rice cultivars, the researchers conclude. Riceberry and Dular seeds had a higher potential for heat tolerance than jasmine rice seeds.